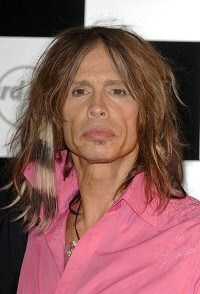 Steven Tyler has said he wasn't the only Aerosmith member who abused drugs in recent years. The rocker, 63, told Rolling Stone that both he and Joe Perry did drugs together in 2008 after years of sobriety. Aerosmith had been working on a new album, which never developed. Steven said guitarist Joe, who declined to comment to Rolling Stone, was so impaired by snorting prescription pills, he couldn't play his instrument. The American Idol judge says he was no better - he couldn't sing. Steven, who is releasing an autobiography, Does The Noise In My Head Bother You?, next month, says he's sober now.